Staying healthy is important no matter how old you are. When you’re young, your body is very busy growing, and to make sure that your body stays strong, you need to eat healthy foods and get exercise every day. This site has lots of links to places with tips on nutrition and fitness and for learning about the human body. The American Academy of Pediatrics runs this site, which has good information about development at each stage plus information about specific diseases and a symptom checker. A great website for practical, evidence-based information about breastfeeding, pumping, weaning, and every issue you could possibly imagine. I refer all of my breastfeeding moms to Kellymom. This site is run by the National Institutes of Health. It is a great source of information regarding medication use in breastfeeding. Just search on the medication name and get information on risk to the breastfeeding infant, risk to the breastmilk supply, and recommendations for alternatives. Run by Dr. Thomas Hale at the Texas Tech University Health Sciences Center, this site has lots of information on current research into medications and their effect on pregnancy and breastfeeding. Website for the organization whose goal is to unite people who are lesbian, gay, bisexual, transgender, and queer with families, friends, and allies. The website has links to educational materials for schools, faith communities, and straight allies among others. The Central Oregon PFLAG chapter meets at Nativity Lutheran Church. The link to their website is here. ​Organization that empowers young people and their families through support, education, and outreach about gender identity and expression. There is great practical information on this site for families, educators, and healthcare providers. Great site with SO MUCH information about gender. Under the resources tab, there is information specifically related to parenting and families, information geared toward teens, education-focused resources, resources for medical and mental health providers, legal information, resources for people working with kids in the juvenile justice and child welfare systems, and information for faith-based communities. A series of short informational videos about medical care of gender expansive children and youth from a pediatrician and adolescent medicine specialist who works with trans youth in Los Angeles. Website devoted to crisis intervention and suicide prevention for LGBTQ youth via phone, online chat, and text messages. Also hosts an online social network for LGBTQ youth aged 13-24. A great site for plant-based nutrition in kids. Even if you aren't vegetarian, this site has lots of tips for increasing the fruits and veggies in your family's diet and decreasing the animal products. The mission of The Doctor Yum Project is to transform the lives of families and communities by providing an understanding of the connection between food and overall health, as well as empowering them with the tools to live a healthy life. There are great recipes (the site even helps you make your shopping list), food preparation videos, a meal machine maker, and more! A site about the technique for starting complementary foods for your baby by letting babies feed themselves. No purees. No spoon feeding. Just family mealtimes that the baby controls, which may lead to less picky toddlers. A handout with guidelines for baby led weaning for use at home. Run by the Children's Hospital of Philadelphia, this site is full of information on vaccine safety, vaccine ingredients, and vaccine science. There are discussions of each individual vaccine as well as the diseases they prevent. A site for parents run by the organization Every Child by Two, this website has good information on vaccine myths and facts and includes a LOT of videos, for people who prefer to learn that way. Stories of parents whose children have had vaccine-preventable diseases to give an accurate picture of these diseases. Well done information by a pediatrician in Texas. Blog by another pediatrician in Texas that was originally about vaccines but also branches into other topics. Naturopathic doctors discussing health, medicine, and vaccines. International board certified lactation consultant in Central Oregon providing services in your home. International board certified lactation consultant in Central Oregon providing services in your home. Also offers breastfeeding classes and a support group. 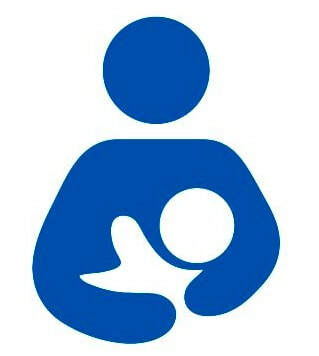 Breastfeeding support group run by St. Charles Hospital. Tuesdays in Redmond and Thursdays in Bend. Provides free health, education, and behavior screenings and counseling for kids age 0-5 years and their families throughout Central Oregon. This is wonderful! I can not say enough good things, great things, about the care you gave my twins since the day they were born. You have been such a blessing to our family and I would recommend you to anyone! Thank you for what you did, what you are doing, and all the families you will help.